After 1 full day into our Kickstarter campaign we were able to get 41% funded! With 28 days left we are incredibly confident we’ll be able to cross the finish line where we need to be. We’ve reached out to numerous blogs and retail sites that we’ve bought from and/or followed in the past and have received tremendous coverage and support in raising awareness. 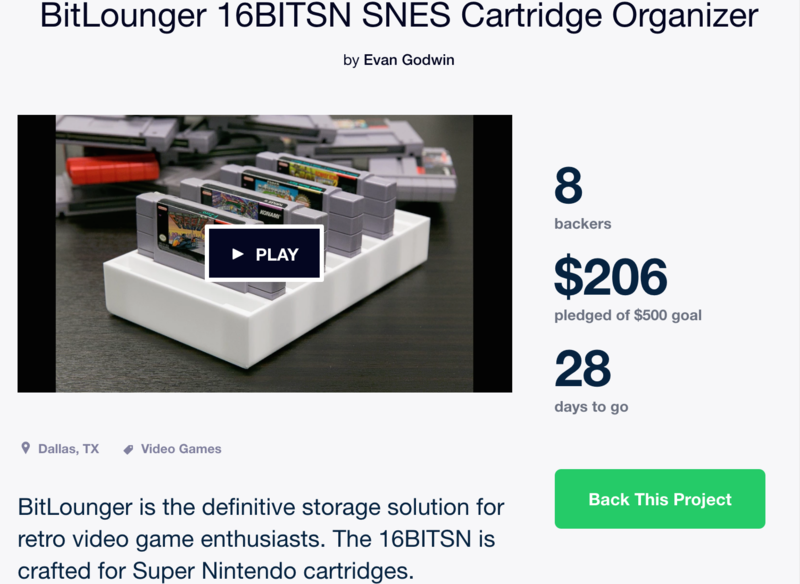 It’s clear there’s a need for a premium retro video game storage solution. We’ll keep you posted as we progress with packaging designs and new information.